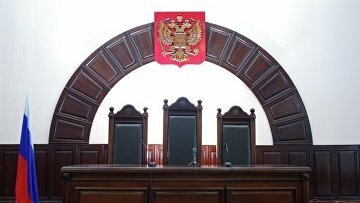 Russian Supreme Court seeks to establish terms of judges’ oaths | Russian Legal Information Agency (RAPSI). MOSCOW, December 18 (RAPSI) – The Supreme Court of Russia has prepared a bill on terms for judges to take their oaths, proposing for such an oath to be given within a month after a judge takes his or her seat. According to current legislation, a judge appointed for the first time has to undertake a ceremonial oath and takes a seat only after the ceremony is concluded. Legally, taking an oath assigns special constitutional rights to a judge meaning that he or she is ready to adhere to number of requirements and restrictions. However, currently the law does not set the term for a judge to take an oath. Authors of the bill propose to complete the procedure within a month.